Union folks have a saying, “You are the U in Union” or something like that…Well, Mike Rotkin is just about every letter in UC-AFT. Mike was involved in the original organizing effort for a senate faculty union in the late 70’s. He was around when UC-AFT negotiated it’s first contract for non-senate faculty, and in the decades since, Mike has been president, VP of organizing, legislation and grievances, local president and steward, and chief negotiator for six Unit 18 contracts and two Unit 17 contracts. Mike is a walking archive of UC-AFT knowledge, trivia and lore. This June, at the end of his final term in office as VP of Organizing, Mike Rotkin is retiring from UC-AFT. 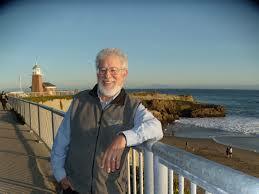 Mike was a lecturer and Director of the Field Program in Community Studies at UCSC from 1979-2011. He was also the longest serving member of the Santa Cruz City Council and Mayor of that city for a record five terms. Mike has an incredible record of civic engagement, activism, and leadership and he has been an invaluable asset to the members of UC-AFT over the last three decades. Insider: How did you first get involved with UC-AFT and how has the organization changed since the early days of your involvement? M.R. : I first got involved in the organizing drive during the late 70s and early 80s, when we were primarily focused on Senate organizing. I then took a brief break from union work after we won our first contract (I was on that team but in a minor role), but when I saw the union about to cave in on an outrageous abuse by UC management I went to a meeting and complained about our timidity. As often happens to critics, that resulted in me be appointed Chief Negotiator for Unit 18. This was followed by years of "on the job training." We are so much more prepared to respond to the abuse of our members by management than we were when we began. We have one of the best contracts for contingent faculty in higher ed in the country and I am very proud of that. But we still have a lot of work to do. Insider: You've worked with UC-AFT in various capacities for over 30 years. What are the highlights of your involvement with UC-AFT? M.R. : My work with the UC-AFT includes some of the things I value most in life. It's hard to single out one thing because I've always felt that the work was meaningful and making a difference for myself and the rest of our members. The fact that I had an opportunity to fill so many different roles over the years gave me a really good education about unions and union work. As Chief Negotiator for both lecturers and librarians, local President, local grievance officer, Central Labor Council Representative, VP for Legislation, VP for Grievances, and my current and soon to end position of VP for Organizing, I learned a wide range of skills and had access to information about UC, labor politics, State politics in California, and national higher education issues that I found fascinating and useful to my daily work as a Lecturer in Community Studies and a City Councilmember and Mayor. I am particularly proud of the work I did in the early years to organize the union from scratch and in bargaining success in creating the Continuing Appointment arrangement in 2003 after three years of bargaining. 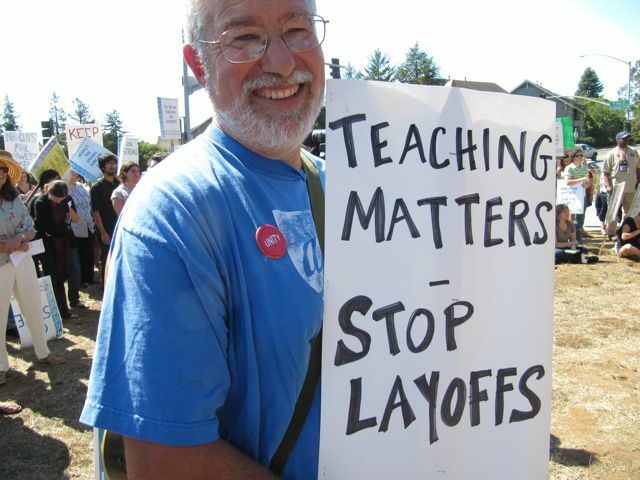 Insider: You taught in Community Studies for 40 years, you've served a record number of terms on the Santa Cruz city council and as Mayor, you've been a union president and activist for all these years…Considering all this experience, what advice do you have for current and future leaders in UC-AFT? M.R. : My advice to current and future leaders of UC-AFT is to be ambitious about what we can achieve for our members when we work together in a collective fashion. The biggest problem of life in the United States today is the belief by so many that nothing can be done to change oppressive or exploitative conditions. That is so wrong. My experience is that if you think you can change things and you can find others who agree with you that those things need to be changed, you can change things for the better. And for me, that is not an abstract theory or wishful thinking, but my life experience. Insider: That experience must resonate with the idealism and passion we often find in students. Is there a positive feedback loop there...how have your students affected your politics and activism over the years? M.R. : I have always appreciated the challenges my students present to me. Their idealism constantly forces me to avoid any temptations toward cynicism and makes me constantly on the search for coherent, integrated theories of how we should be approaching our social change work and fully understanding the context in which we try to make the world a better place. Insider: What do you see as the top one or two issues facing our union and our members in the immediate future? M.R. : I think our single biggest issue at this point is the need to activate our members. We will not be able to make the dramatic changes in our contracts to actually be able to improve problems with job security, workload, and changing our status as second class citizens at the University until our membership numbers and the engagement of members in our work increases dramatically. That is why the You See (UC) Democracy? campaign is so exciting to me. Insider: The beauty and the challenge of the You See (UC) Democracy? campaign is moving from local issue based organizing to an effective statewide bargaining campaign. How do you see that happening as we approach June 2015 when the full lecturer contract opens for renegotiation? M.R. : While the union has allowed lecturers and librarians to make major improvements in the conditions of our daily work and compensation, we still have a very long way to go before we are treated as full citizens of the University community. Sometimes the abuses are system-wide, and sometimes they are about not allowed to be involved in the planning of the curriculum even in departments where we do the majority of the teaching. These are not unrelated abuses. I honestly believe that as lecturers and librarians begin to learn how to advocate for ourselves, whether at the statewide or local level, we will find that we have the power to insist on being treated as participants in the planning of our own work and afforded the respect of reasonably secure jobs with decent compensation for our essential work. Nobody will ever give us these things simply because it is the right thing to do; we have to organize and build the power to be able to insist upon getting them. Just speaking this truth to our members will not be enough to make a persuasive argument as to the accuracy of this assertion. We need to show members how they can organize to make the changes that they believe are necessary to make this work as satisfying as it should and can be. Insider: I imagine that you have lots of ideas about the fun you'll have in retirement. What will a day in the life of Mike Rotkin look like now that you're retired? M.R. 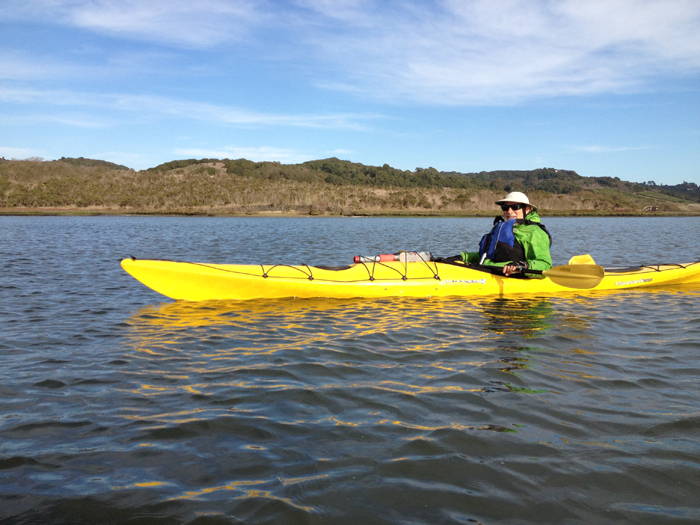 : Well, I retired from two full-time jobs (Mayor and Lecturer) and that lasted about a week before agreeing to work half time for the union (well 3/4 time work for 1/2 time pay), so while I know I will find a way to do more kayaking, camping, traveling with my wife, Madelyn, and reading novels again, and that I will be able to wake up at 8 or 9 instead of 7AM and sleep more than five hours a night, who knows what my next career will be. I'm only 68.